New research finds that misdiagnoses lead to increased risk of incorrect antibiotic use, threatening patient outcomes and antimicrobial efficacy, while increasing healthcare costs. The study was published online today in Infection Control & Hospital Epidemiology, the journal of the Society for Healthcare Epidemiology of America. Researchers conducted a retrospective cohort study at Minneapolis Veterans Affairs Medical Center (MVAMC), evaluating 500 inpatient cases to examine provider diagnoses - categorized as either correct, indeterminate, incorrect, or a sign or symptom consistent with an infectious disease rather than a specific syndrome or disease - and to determine whether the antimicrobial course prescribed was appropriate. The researchers found that 95 percent of patients with an incorrect or indeterminate diagnosis, or with a symptom identified but no diagnosis made, were given inappropriate antibiotics. By comparison, only 38 percent of patients who received a correct diagnosis were incorrectly given antibiotics. The inappropriate use of antibiotics contributes to antibiotic resistance, clinical failure, adverse drug events, and excessive costs. Additionally, researchers found that overall, only 58 percent of patients received a correct diagnosis, indicating that diagnostic errors were more prevalent in this study than in previous studies unrelated to antimicrobial use. The most common incorrect diagnoses identified by researchers were pneumonia, cystitis, urinary tract infections, kidney infections and urosepsis. Healthcare workers (HCWs) relying on intuitive processes, instead of analytical processes which are more reliable, safe and effective. HCWs experiencing fatigue, sleep deprivation and/or cognitive overload more prevalent in inpatient settings. HCWs receiving patients with a previous diagnosis from another provider. Lack of clinical experience and minimal personal experience with adverse drug effects. 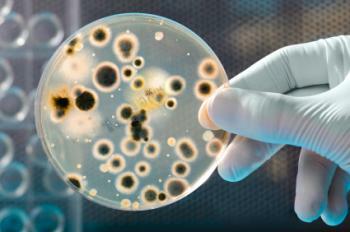 “Diagnostic accuracy is integral to the safe use of antibiotics. In order to improve the use of antibiotics in healthcare, we must consider this challenge and look for tools and strategies that help clinicians decrease unnecessary and potentially harmful antibiotic use” said Filice. Greg A. Filice, Dimitri M. Drekonja, Joseph R. Thurn, Galen M. Hamann, Bobbie T. Masoud, James R. Johnson. “Diagnostic Errors that Lead to Inappropriate Antimicrobial Use.” Infection Control & Hospital Epidemiology. Web. (May 18, 2015). SHEA is a professional society representing physicians and other healthcare professionals around the world with expertise and passion in healthcare epidemiology, infection prevention, and antimicrobial stewardship. SHEA’s mission is to prevent and control healthcare-associated infections, improve the use of antibiotics in healthcare settings, and advance the field of healthcare epidemiology. The society leads this specialty by promoting science and research, advocating for effective policies, providing high-quality education and training, and developing appropriate guidelines and guidance in practice. SHEA upholds the value and critical contributions of healthcare epidemiology and improved antibiotic use to improve patient care and healthcare worker safety in all healthcare settings. Cambridge University Press publishes over 350 peer-reviewed academic journals across a wide range of subject areas, in print and online. Many of these journals are leading academic publications in their fields and together form one of the most valuable and comprehensive bodies of research available today.